Between palletizing and stretch-wrapping, it can be hard to complete projects on time if you’re working with outdated equipment and unproductive manual labor. That’s why PALLETPOD offers a unique hybrid Mobile Palletizer with In-Process Stretch Wrapping capabilities. 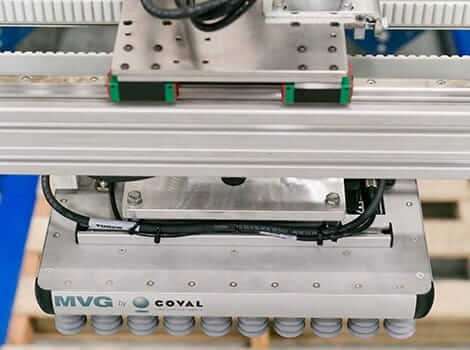 With one cutting-edge machine that takes care of both tasks, you won’t have to allocate as much time, space, and money toward completing projects on-time. 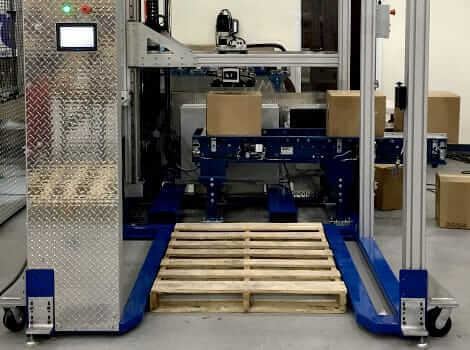 At ROI, our job is to make your plant run as efficiently as possible; with PALLETPOD’s unique End of Arm Tooling (EoAT) options including an automatic stretch wrap machine and palletizer, you’ll be able to get more work done. Why Do You Need A PALLETPOD? The last thing you need to do is implement a solution for your plant that makes production more difficult. 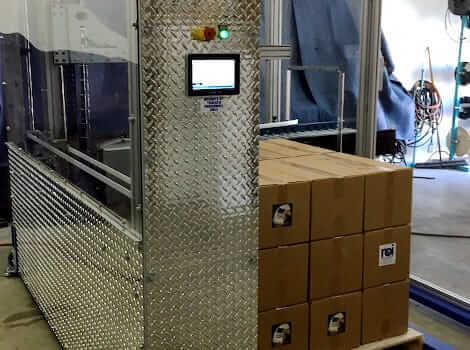 With PALLETPOD from ROI, we combine two unique processes into one user-friendly machine that’s geared toward optimizing your plant’s space, increasing productivity, and lowering the risk of workplace injuries. Reach out to our team today, and find out how ROI can help you achieve your full potential.